This time we’ve interviewed CEO of Nanzan Bussan Mr.Taiki Nakayama. Mr.Nakayama worked for foreign capital trading company after graduating university. He worked for 7 years dealing foreign trades. After a year studying in Canada, in 2012 he enters heavy industry company. There he was in charge of marine plant, international sales and administration. 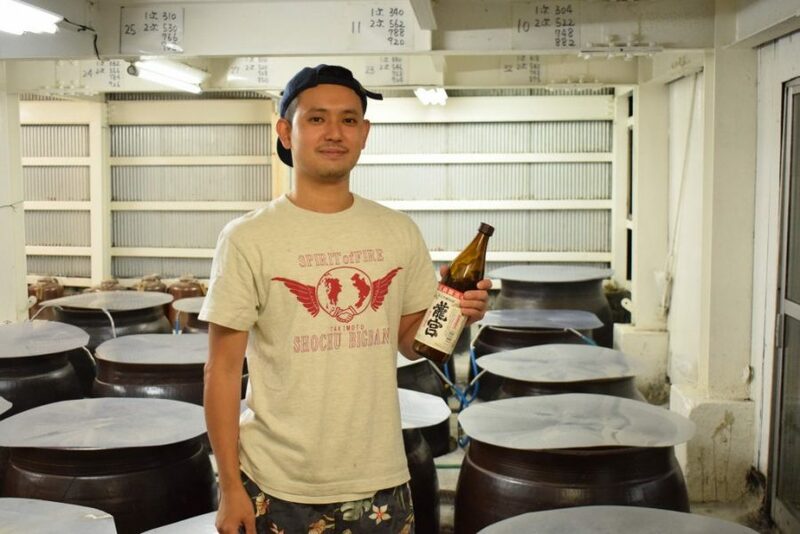 While he was working in Singapore, he noticed people drinking Shochu were only Japanese and surprised to see Singaporeans hardly knew about Shochu. 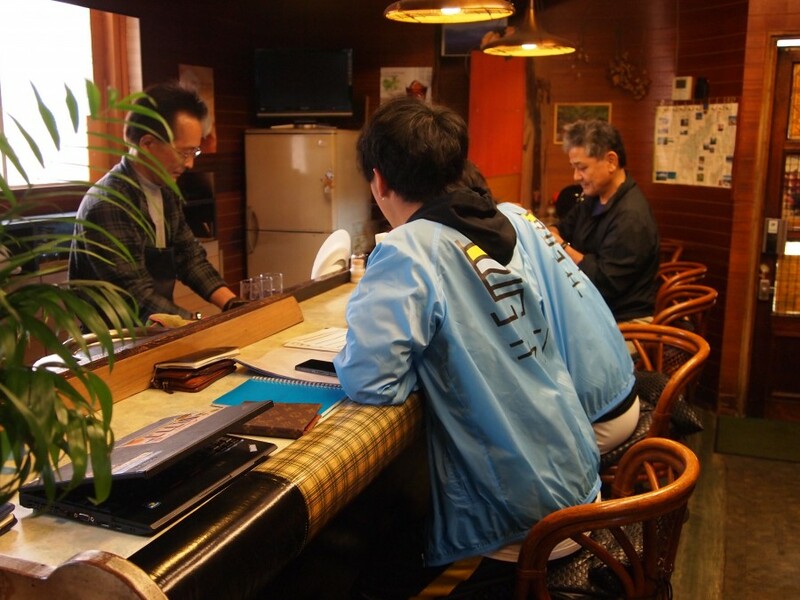 Mr.Nakayama thought it is unfortunate that there are so many good Shochu in Japan, but not known over the world. Mr.Nakayama thought it would be great if Shochu is more known around the world and founded the company. Here is an interview with him. -When was your first contact with kokuto Shochu? While I was in Singapore, I requested Tomita Distillery’s 「蔵和水/Kurawasui 15%」to a relative to bring up to Singapore and that was the first contact. Handmade in a pot, was attractive, but I was also interested that it is alcohol 15%. Tomita Distillery have the image of representing「龍宮/Ryugu」alcohol 25% or 30%, but your first contact was 「Kurawasui 15%」. By the way have you been to Amami-Oshima before then? No, I’ve never been there. After I was back from Singapore, using my holiday I went straight to Amami-Oshima(Strike while the iron is hot!) The actual date, I was back in Japan on Sep.1. 2017 and went over to Amami-Oshima, but it was ‘旧盆’ period and a lot of stores were closed and surprised. 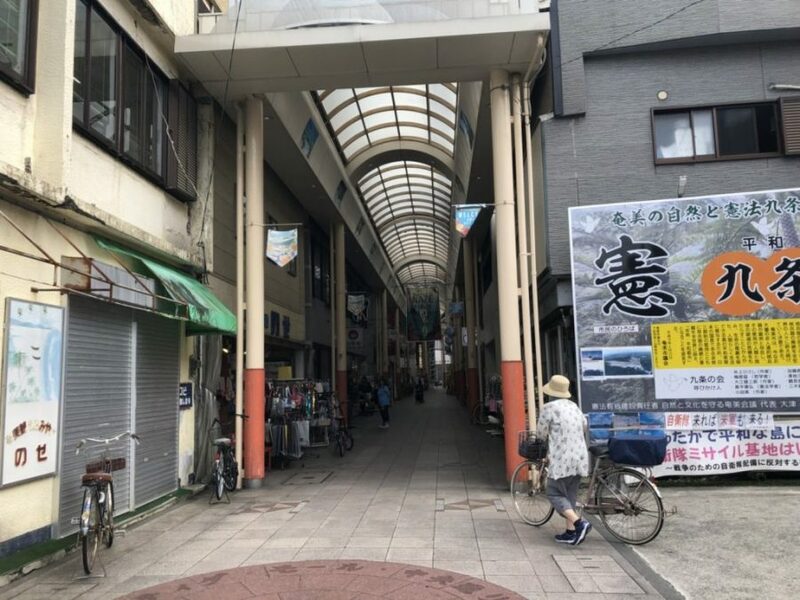 Also, I did not have a personal cell phone, just getting back to Japan and had to contact from public phone, and I’m sure it was surprising for the Shochu producers. Wow, I am quite amazed with Mr.Nakayama’s leverage. I’m sure Mr.Tomita was surprised too. 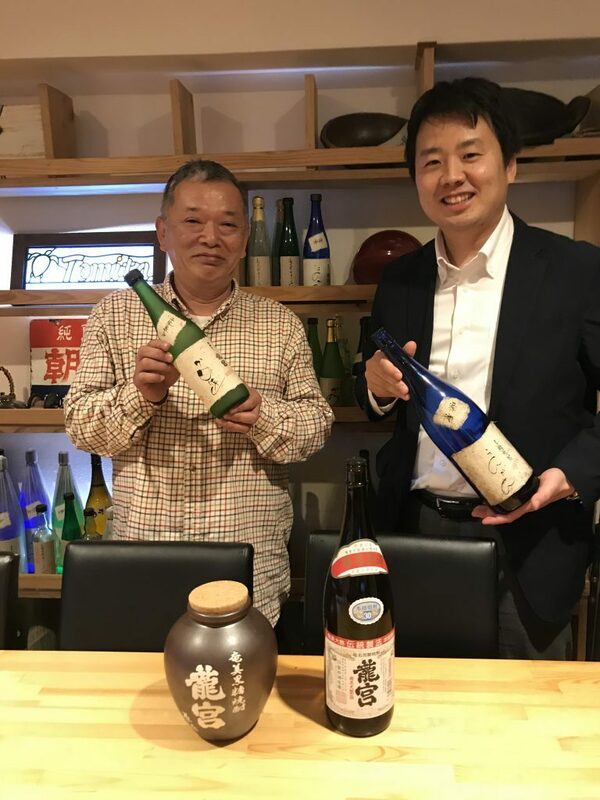 After I met Mr.Tomita and heard about Tomita Distillery’s history and persistence, my passion toward Kokuto Shochu became real at this point. -So what is Shochu to you? 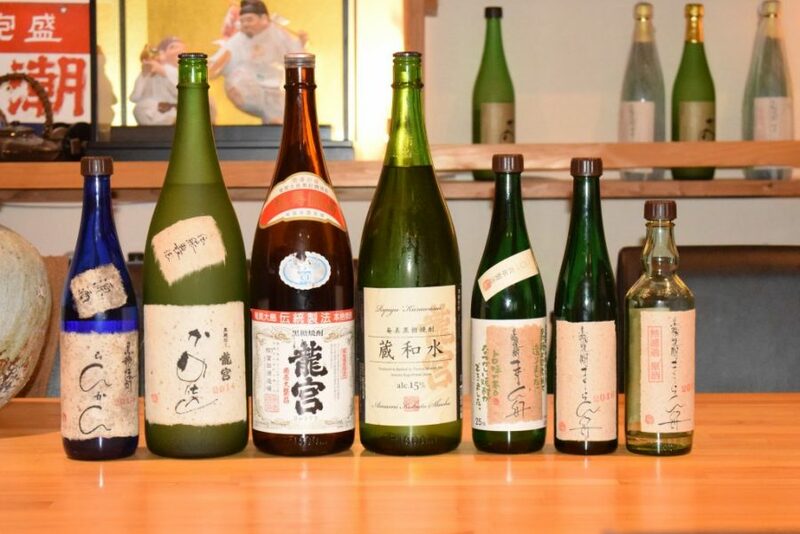 The more you learn about Shochu, you see the depth and traditional and cultural aspects. As a business person, I can’t find anything more fascinating. To be more specific, after the distillation process passed down from foreign countries about 500 years ago, Shochu had been developing within Japan. In other words, delivering Japanese Shochu overseas not just only means to spreading Japanese Liquor, but delivering historical backgrounds and appreciations to the predecessors, I think. Can we hear about your next visions? I want to spread and let people around the world to know the taste of Shochu. I want to enlarge Shochu market with in Japan and stretch out to Asian market as well. Our company have just started, we will be putting great effort on transmitting ‘the great facts of Shochu’.We will be setting our original Shochu booth at Makuhari Messe from Oct.10-12, 2018 (‘日本の食品’輸出EXPO) Tomita Distillery from Amami-Oshima and Asahi Distillery from Kikai-Jima will be joining us. We will be promoting Kokuto Shochu internationally. Please feel free to stop by for the readers of this page as well. We’d also like to introduce ‘Tomita Distillery’ and ‘Asahi Distillery’ a bit. Tomita Distillery have 67years history since establishment. Distillery is handled by 3rd generation now. 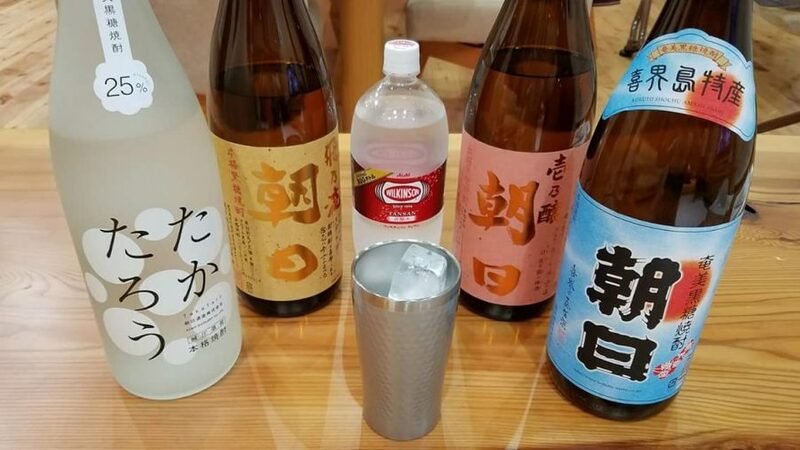 What’s special about Tomita Distillery is that it carries 40 big pots and handle with traditional style to produce Shochu and using 100% black koji. This speciality is only with Tomita Distillery among Amami area. For those people who thought ‘Why black koji ?’ the reason for using black koji is that it has the resistance to the heat. Amami Oshima belong to subtropical climate so it suits to use black koji. The taste have a sharpness with a stout. 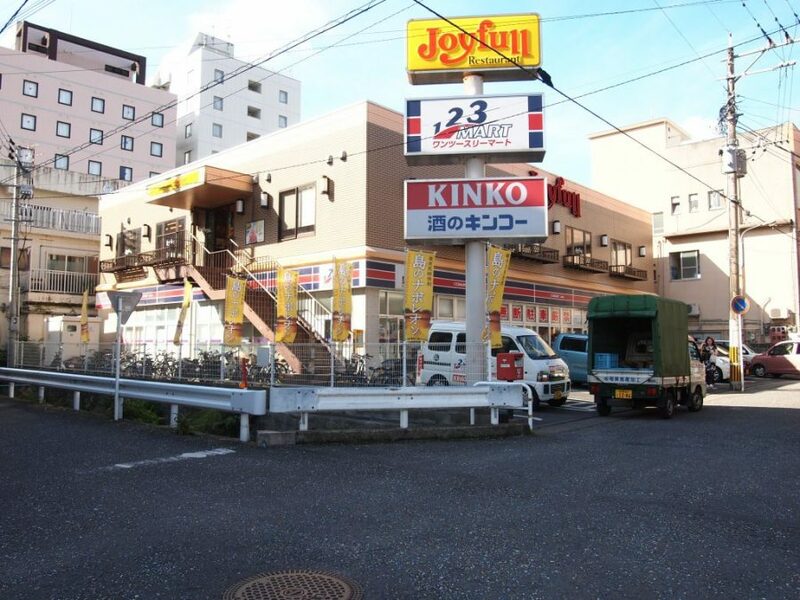 Have 102years history and is the eldest and most famous company in Kikai Jima. 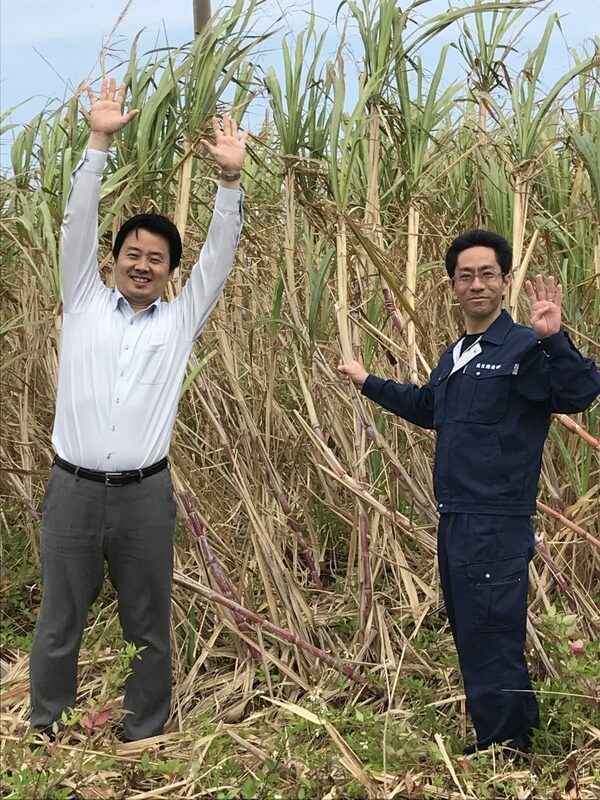 Asahi Distillery grow from sugar canes to produce Kokuto Shochu and keeps the challenge from Kikai Jima through Kokuto Shochu. The main product 「朝日」30℃　is created mainly with Okinawa’s brown sugar, rice koji and with rich spring water with mineral since Kikai Jima is coral surrounded island. You can taste the rich aroma of brown sugar.